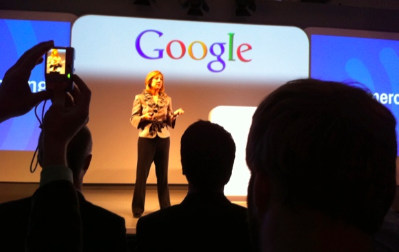 Be Different and Google proudly announce event registration for a series of Online Marketing events. They cover Online Marketing in full for business owners and professional marketers. Google will discuss the value of online advertising and give you key insights into all the latest techniques. Plus, you’ll learn the benefits of working with fully certified Google Partners. It’s unusual – and exciting – to get this close to the biggest voice in the online marketing industry. This is a rare opportunity to discuss your own particular requirements. What do the events cover? Dates will be announced soon and places are likely to go quickly, so do please sign up and register your interest now to avoid disappointment. The events vary between large-scale and more intimate audiences. It depends on your interests – would you simply like to find out more, or do you need advice to implement specific solutions in your business? After registering, you’ll receive details of the dates we are running. You choose the event most suited to your interests, and a convenient time to join us at our offices in central London. At the event you will receive a special viewing kit with Google-branded notebooks, pens and more goodies from Be Different. We’ve designed the whole event to help you understand the importance of getting online marketing right for your business – and how to do it. You will also learn about the latest and most important opportunities currently available to you. All our events are geared to give delegates access to the latest industry trends and techniques for increasing ROI through online marketing. Therefore, you should specify preferences in the form notes below. This will help us work out which of the events will suit you best. Following the smaller events, we will produce an 8-week plan for each delegate’s specific industry. In this plan we will outline how online marketing fits best into your marketing mix. You will walk away with valuable intelligence for your company. Why was Be Different selected to partner with Google? Be Different is one of the few Google partners who hold accreditation across all Google Disciplines. As a mark of our commitment, Google has selected Be Different to collaborate on these events. They give marketers and company owners access to the best advice and to proven expertise in the marketplace. 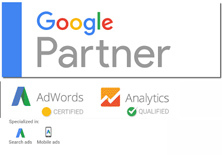 Check our credentials on our Google Partners Profile Page. You can also read about our Online marketing services and the great results we consistently achieve for our clients. We are finalising the dates for the events, but as soon as we announce them we do expect places to go very quickly and for each to sell out. Register your interest now, and you will receive priority treatment when the dates are announced. Enter your details for Event Registration into the form below. REGISTRATION FOR 2018 EVENTS IS NOW CLOSED.